Apple's Tim Cook claims that AR is larger than VR, "probably by far"
Earlier today in an interview with ABC News, Apple CEO Tim Cook has reconfirmed his company's interest in augmented reality (AR) and virtual reality (VR). It's not the first time we're hearing about Apple looking into these new fields; in the past, Cook came out on several occasions confirming that AR and VR are two avenues that Apple is exploring behind closed curtains. What makes this specific interview interesting, however, is the extra detail topping that Cook offered. "There's virtual reality and there's augmented reality — both of these are incredibly interesting [...] But my own view is that augmented reality is the larger of the two, probably by far." "Augmented reality gives the capability for both of us to sit and be very present, talking to each other, but also have other things — visually — for both of us to see," said Cook. "Maybe it's something we're talking about, maybe it's someone else here who's not here present but who can be made to appear to be present." But don't let Cook's enthusiasm for AR fool you into believing that Apple is discounting VR as a field with limited potential. Cook continued the interview by claiming that VR has "some really cool areas there for education and gaming". Long story short, Cook appears to believe that AR could be the more useful technology of the two in the long run. Also, VR is cool. Do you guys agree with Cook's opinions on AR and VR? I agree. AR has many more practical uses, while VR holds more games centric purposes. I want HoloLens to succeed because it places AR before VR, even though it happens to be a combination of the two concepts. Yup, bruh. I think VR is mostly great for multimedia purposes. AR is a more versatile and it throws real-world experiences into the mix. I would imagine they'd be making a standalone device, similar to HoloLens, rather than use the MacBook line as a crap shoot honestly. generally AR can be anything from those cards you see for handheld consoles and such, scan and something pops up, so yeah, probably, AR is significantly lighter in load. You think Apple will focus hard on it? I hope so. Like Trojan said, it's more versatile. Some of the staff they've poached over the years would suggest they've been working on it for a while. I wouldn't be surprised if they had hardware prototypes in the works. More choice for us, always good bro. VR is not only game or entertainment centric. It just hasn't been utilized into real world usage. VR can be used as job simulators, training, and sports practice. Ex. , there can be car driving or plane flying VR simulators to help people learn how to drive or fly. Another example is self-sports practice for sports like boxing and fencing. Virtual reality........ VIRTUAL...... lol. You can't utilize it in real world scenarios because that's not it's purpose. Dude, did you really post that? Virtual reality and augmented are two different things, except augmented takes some virtual aspects into play. Look up their definitions and you'll understand. Augmented brings alot more of actual reality into whatever it is that you're playing or working on. I'm talking about full on software experience without any augmented reality to experience what something feels like in real life. That's not....... even theoretically possible. You're talking about some Matrix level crap that isn't feasible. I don't think he's talking about having a system where you dive into an environment, so much as having one where you are stationary (or have limited room to move) and have to use objects around you. Think about a VR racing game for example, that is connected to physical controls you operate with your hands. There is not anything particularly otherworldly or highly advanced about that. There has already been much discussion about using VR for job training and things of that nature... though I suppose that would heavily depend on exactly what the job entails, and whether or not virtual tours or training are really enough for that particular field or position. And in some cases, like the Air Force; VR would basically be a step down from what they already do with full simulation rigs. Or depending on the company, they may be able to replicate environments by doing something similar to The Void in Times Square. Granted, hopefully with more advanced equipment. Here in holland they bought vr devices for the childhospital and with the 360 camera they can feel like they are at home. Vr also has allot of potential saying 1 is better than another (while they both are pretty new) means nothing. Tim cook is a real business man and will always promote what his company is doing or investing in. At is far more applicable and practical. Vr is pure entertainment. Why not combine both technologies, AR and VR? I'll just put a large popcorn in the microwave, and await the inevitable influx of posters saying how Tim Cook doesn't know what he's talking about/doing/saying/isn't a visionary like Jobs was, etc, etc. I think that is wgat younger saying, but ylire trying ro a t like you're climing that is what we qill say. 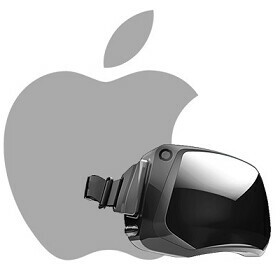 Apple can tall talk about VR all the want. All they dropped was a viewmaster. At Samsung and Microsoft actually have something ro show foe tbeir work. Hololens Looks awesome. I haven't tried the Gear VR, but i plan tonride the coaster at Six Flags that uses it. That has to be cool. Apple is a ring like Nintendomuse to do. They let Sega eushbto market with their crap, and Nintendo come up with something slower but better. We will see gown serious you are. I actually think VR isn't going ro be a big deal. But a Hololens video game qould take the cake. It's loke a live action movie. Augmented reality is bigger than virtual? Is that a joke? Try to explore a virtual room in augmented reality, try entire city. You can't.